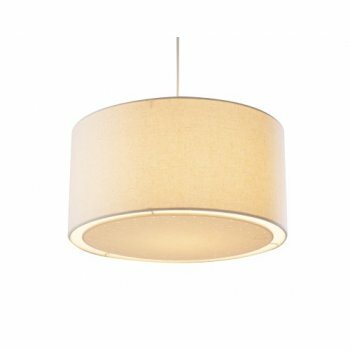 Dar Lighting Edward ceiling light shade in a drum shape shade with cream outer and diffuser at the base. The product code for this Dar ceiling light shade is EDW6533. This easy fit ceiling shade fits straight onto your existing lampholder enabling you to create a new look for your room without the cost of an electrician.